by artist Jackie Jacobson transformed into a beautiful ceramic tile coaster. 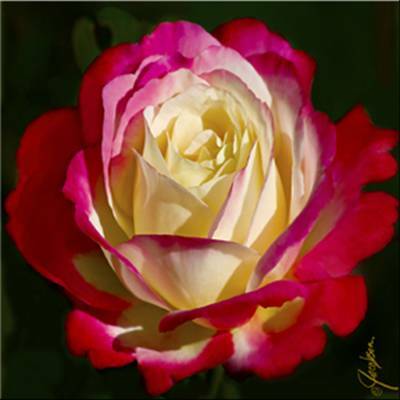 The most popular and requested rose is this Double Delight Rose. The painting shows how the creamy white petals turn cherry red on the edges. The fragrance is incredible. Can you smell it?